This is the ultimate book for every guy or girl that’s ever lit a fire – whether you’re still battling to get your mates to give you the tongs, or have already got yours … gold-plated. We’re talking about the braai and it happens all across South Africa, no matter what the weather, because our social get-togethers just wouldn’t be the same without it: it’s that build up before the big match or the aftermath of a great party. Not only is the braai part of the genetic blueprint of our country, but for some of us it has become a national obsession – and for Justin Bonello, chefs Marthinus Ferreira and Bertus Basson and 50 crew and friends, South Africa’s favourite pastime was the perfect excuse they needed to hit the backroads on a bumpy 8000km, 62-day open fire adventure. Based on the second season of the home grown television series, The Ultimate Braai Master, this cookbook is a must-have if you are all about friends, the outdoors and creating memories around seriously good food. 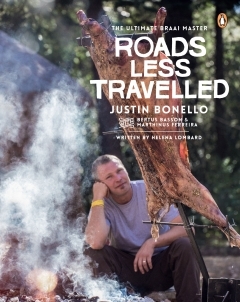 Local culinary genius, Justin Bonello is the owner of Cooked in Africa Films and host of Cooked – the popular cooking adventure show, broadcast by BBC Food. 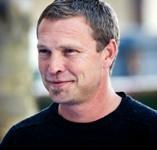 His travel series, Getaway to Africa has been showing on M-Net channel 101. Bonello is passionate about ensuring that Africa’s diverse food cultures are recorded and celebrated so that future generations will be able to savour the culinary pleasures we enjoy today.